How about sheeting in a bit more? Cats do go upwind! 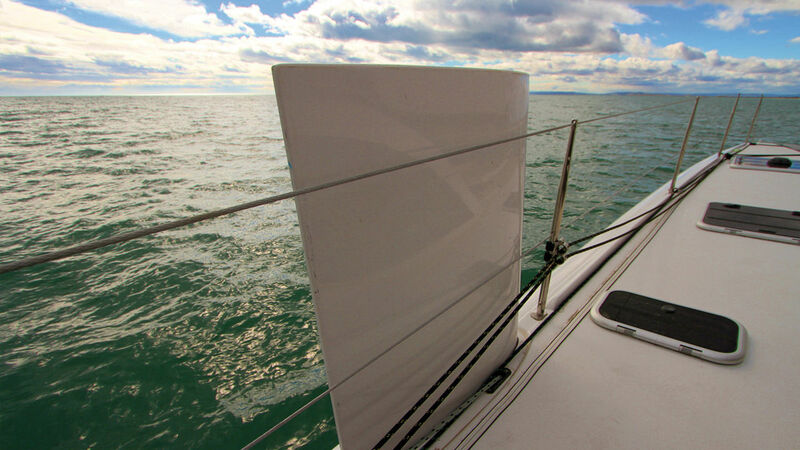 Low deformation sails and daggerboards significantly improve the potential of a multihull upwind. If most of our sailing - at least generally the longer trips - is usually conducted downwind, upwind work sometimes gatecrashes the party... How do we deal with this and how do we avoid resorting to the engine? Allow us to explain! "Multihulls, and cats especially, are not made for sailing upwind." This complaint is often heard from regulars on monohulls by those of us who choose to sail on two or three hulls. Ultimately, they are not entirely wrong: a catamaran is much faster downwind than up. The difference in speed is often even more than double. And multihull fans, no doubt more Epicurean in their approach to sailing, prefer a route which doesn’t involve tacking... And when there’s no choice, the option to motor, into a head sea, is very tempting though not comfortable. However, multihulls are not incapable of going upwind. Far from it. And they have the advantage of sailing flat: this can never be overstated! 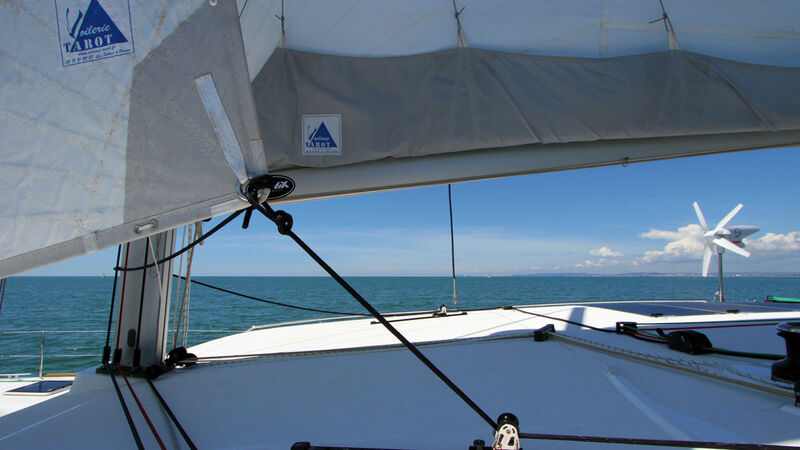 It’s quite feasible to tack upwind, even aboard a production cruising catamaran. Admittedly, the route and the time taken are longer (two to three times) than the all-engine option into the wind. But if you're in no hurry, here are some tips to get you on the right track. 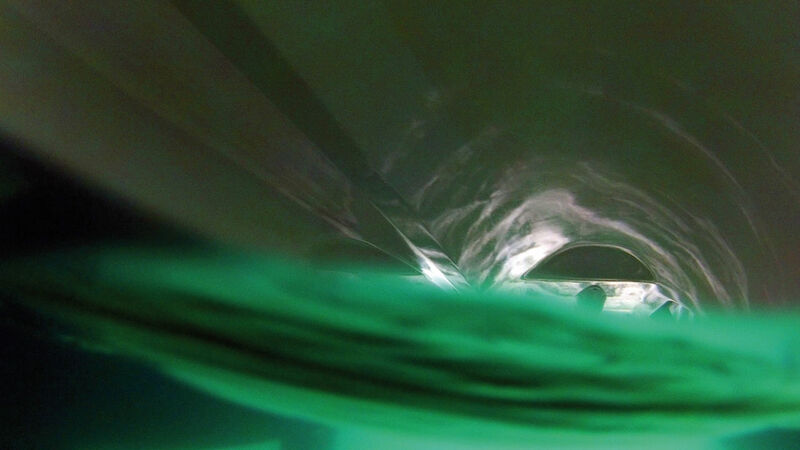 The very basis of the gliding through the water is clean hulls. 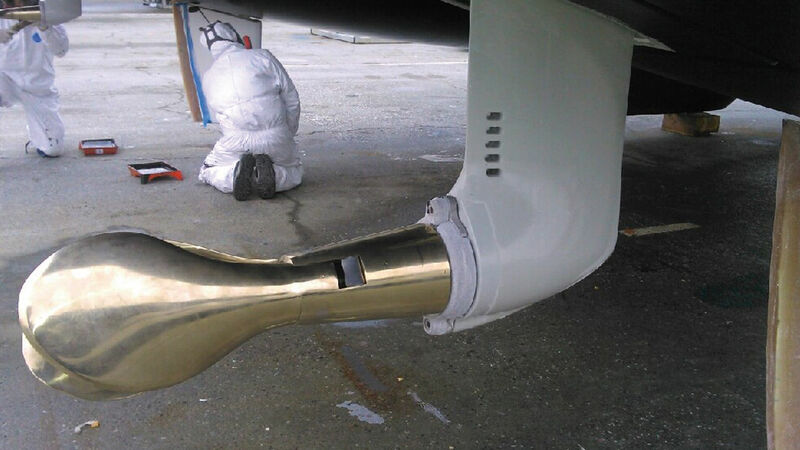 Before applying antifouling, check with regulars in your sailing area or long-term cruisers to select the most effective anti-fouling paint. And do not hesitate, before each big trip, to clean your bottom! On a catamaran, there are two propellers that slow down the boat, not one... Even more reason - despite the expense - to replace your fixed three-bladers with folding propellers. A benefit at any speed. And sailing upwind! There’s just no doubt about it. Daggerboards give much better performance than fixed skegs, especially in light airs and big breezes. You just need to adjust them according to the speed and conditions - the leeward board should be lowered in light weather, but raised little by little as your speed increases. 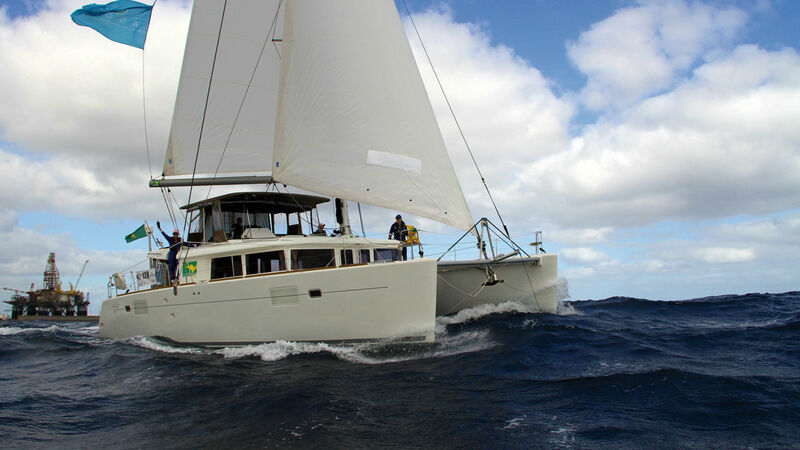 On a multihull, there’s no heeling, and therefore great loads on the rigging... or the sails. Hence the interest of opting for perfectly adapted materials. 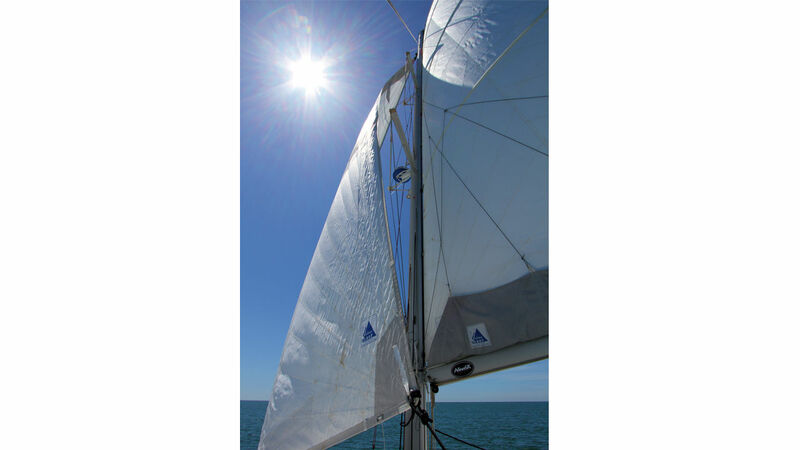 Polyester sails delivered standard with a production boat deform very quickly and create a handicap, with a too pronounced hollow for the boat’s upwind performance. 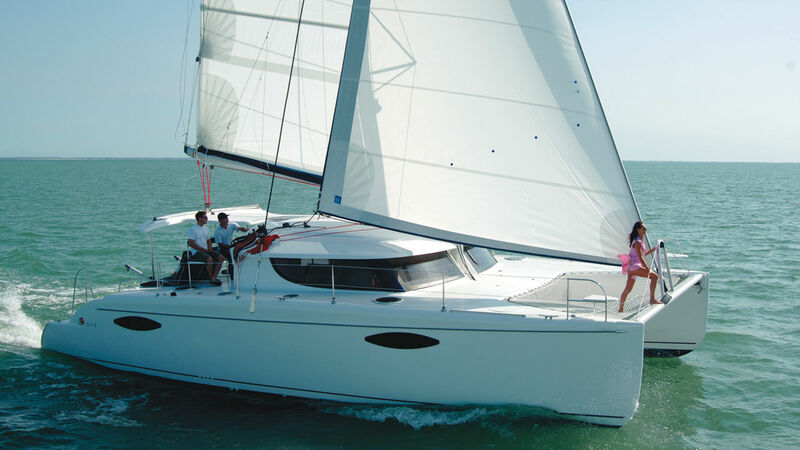 Hydranet sails, for blue water cruising, are a good performance / resistance compromise. For optimum upwind performance, it is essential to trim the sails. The mainsail is trimmed by the sheet, and the traveler makes it possible to control the twist in the leech. Telltales indicate the optimum setting: if they’re in, the leech is too tight, if they come out the leech is too open. The genoa is adjusted via the sheet tension and the position of the car on the rail. The standard angle is the bisector of the angle formed at the clew. Telltales indicate a good flow of air. Do not hesitate, with the help of a flying sheet, to adjust the sheeting angle. After some trial and error, you will find the right settings!